Professional Website Design Handbook, The Coreldraw Approach LIVE! 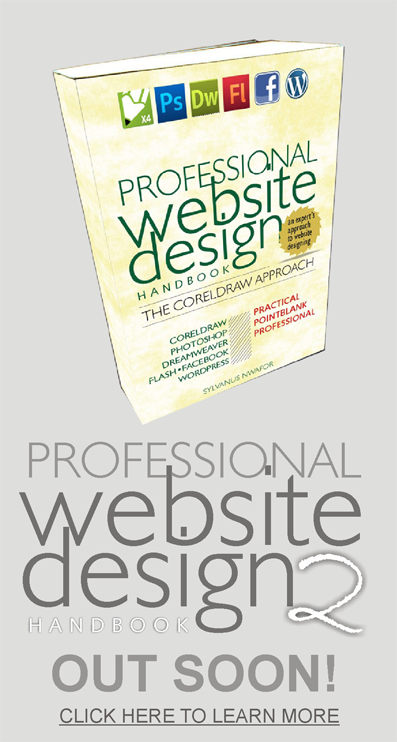 I AM HAPPY TO ANNOUNCE THAT THE NEW & HIGHLY AWAITED BOOK, Professional Website Design Handbook is ready for purchase. Pick your copy NOW! This article reminds me of my college school days. I actually started out freelancing for quite a while now. The only bad turn is just that I didn’t get enough counsel, I wouldn’t have found myself in the job market needing employment at all. But all well and good, no knowledge is lost. As a matter of fact there were quite a lot I gained working as an employee. Sharpening my skills and understanding work ethics and corporate relationship.